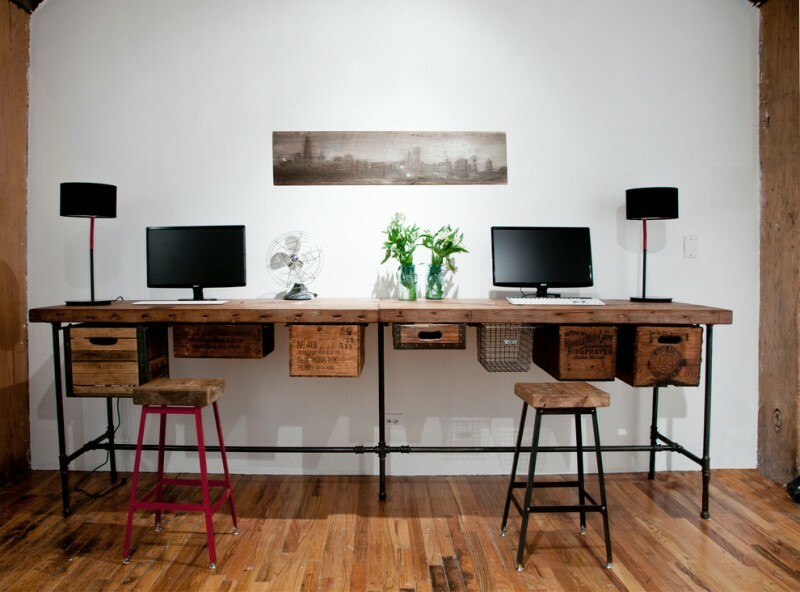 Upgrade your home office with these ten best ideas of two sided office desks. These products are made of the best quality materials, especially the organic woods. Few of them have special details of features to support either the performance or visual appearance. 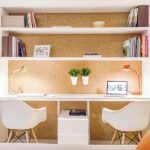 There are so many options of finishes and designs, so you can use these products as the inspiring ideas for your home office. 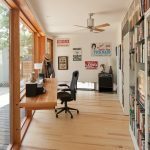 Go finding and choosing one that probably fits your personal taste, and make it a great design solution for your next home office remodeling project. 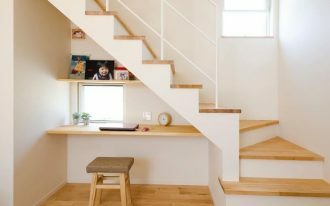 This working space with two sided office desk is separated by the angular dip, really effective for keeping the numbers of documents, papers, or favorite books. 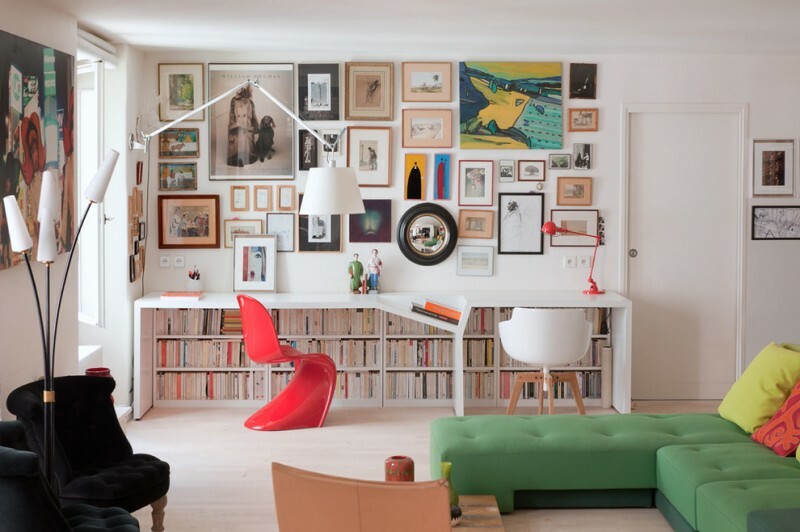 For a cheeky look, the homeowner adds lots of book-print ‘wallpaper’ to the wall exactly on top of desk. Fantastic! 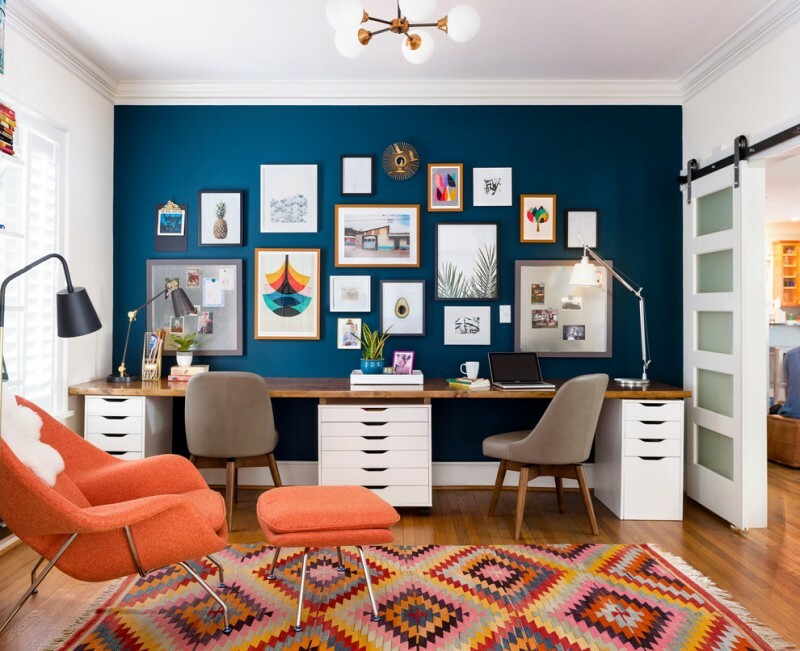 A modern eclectic home office design furnished with two sided office desk. 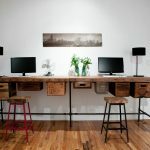 The desk has extra file cabinets and large space of butcher block top, so users can use their own space freely without taking another user’s space. So matching for a new just-married-couple whose lots of job. 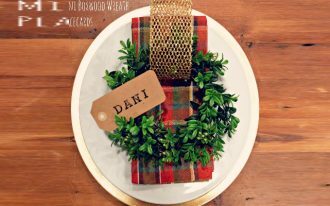 Practical and stylish. This two sided office desk offers extra storage solution obviously described by shelves on top of desk. 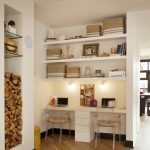 Few spaces of shelves are convertible for putting some baskets if you want to own non-shelving units for storage space, so you’ll get much more variants of storage solution. About the desk, it is separated by vertical cabinets that effectively optimize your needs of files/ documents storage. This is another idea of two sided office table. 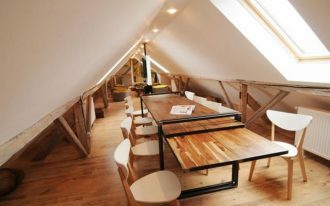 The designer doesn’t put each tray of table side by side, but rather inspired from a corner office table. Light wood becomes the primary element of table and high quality plastic is the secondary element for chairs. 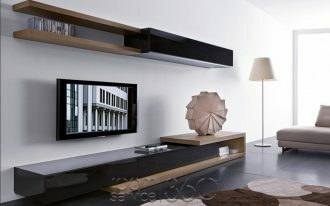 Overall interior design really displays a Scandinavian concept in which light wood color and white are so obvious here. 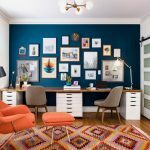 It’s okay to choose a larger office table to your huge space home office, but consider selecting the most precise one that fits your lifestyle and personal taste. This two sided working desk, for example, has been designed in simple look but effective for daily jobs. Oversized skyscraper graffiti has been a creative accent for wall. 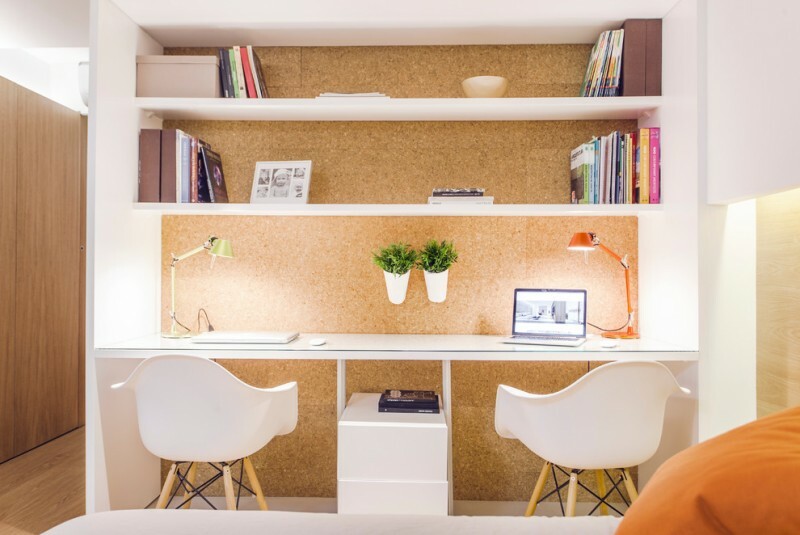 Scandinavian-style two sided office desk with cork wall panel and shelves. Cork here gives special tone and texture, while shelves provide huge space of storage. They can be flexibly used for accommodating lots of boxes and books. The desk itself is equipped with central cabinets for documents or files. 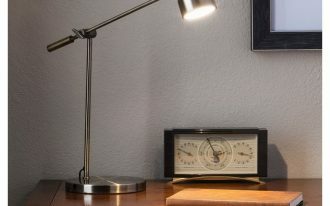 A clean lines working desk in Scandinavian style. 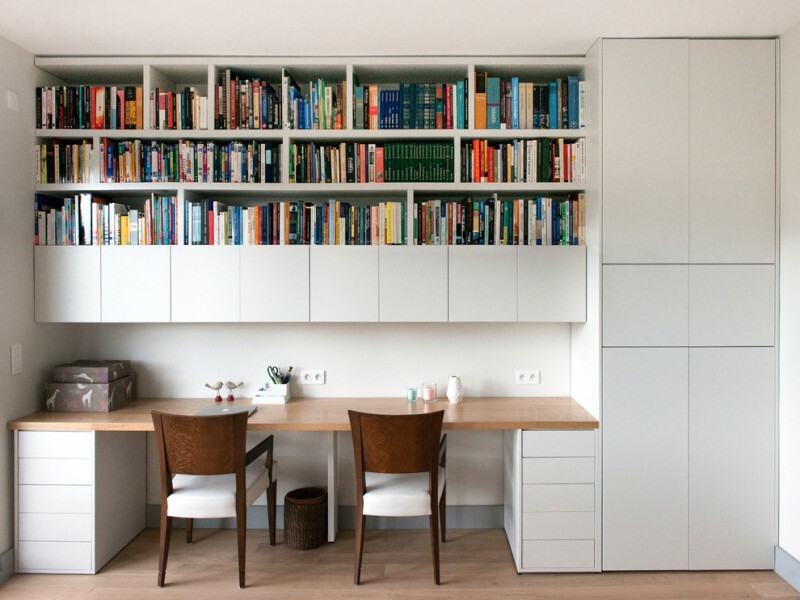 It offers plenty of shelving units for books or documents. The desk also has charming light wood counter & additional flat-paneled cabinets on either side. At the corner, it’s obvious to see a flat-paneled closet for more storage space. 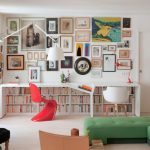 Interestingly, the designer chooses a pair of darker wood chairs to break a bit Scandinavian look, intending to add more colors in room. This wall-mounted office desk is made of natural wood screwed by L-shaped steel plate, and basically the desk construction is integrated with the wood trims of window. 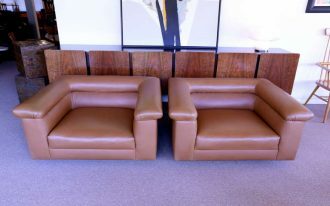 The size, of course, accommodates for two users, so we just need to add one more working chair. 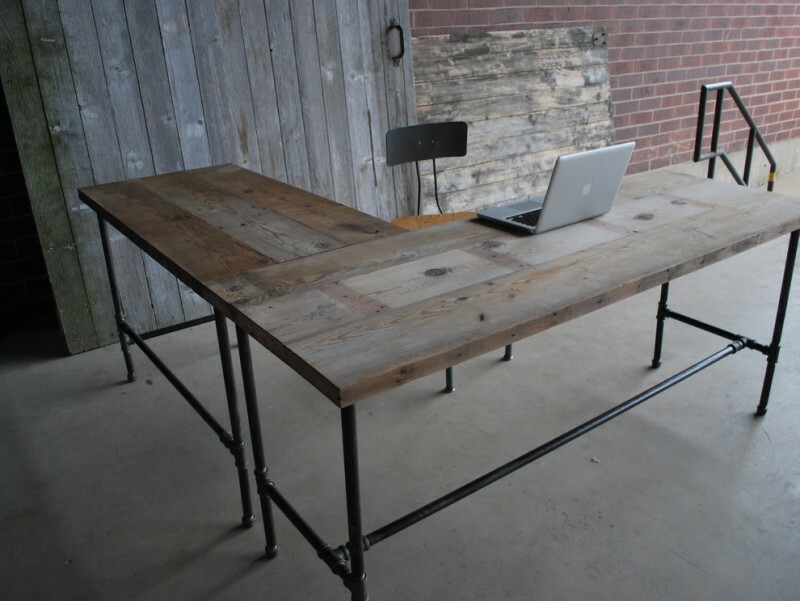 This may be called an urban reclaimed wood office desk. The desk is supported with lots of custom cabinets, and the cabinets are uniquely made of vintage crates. 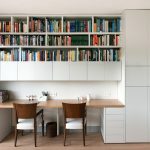 When they are combined with the existed drawers, both drawers and crate cabinets find their ‘new life’ as the storage system. And the pipes, they’re so incredible! Well-implemented on both the desk and chairs. 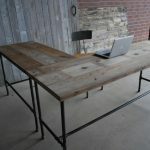 L-shaped industrial office table with two sided counter. It’s minimalist but so functional for two users. 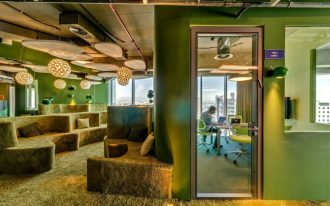 The design effectively supports the users to have the easiest access during discussing or executing the same projects.